Welcome! 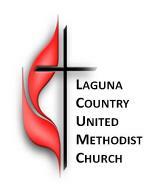 I am glad you found Laguna Country United Methodist Church. We are all on a journey and wherever you find yourself on that journey you are welcome. 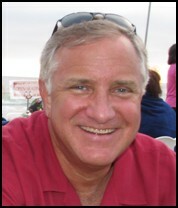 Our mission statement, “Welcoming Everyone, Serving in God’s Love,” reflects this. Though we live in planned communities and nice neighborhoods, we are often lonely and isolated. We believe that we have a responsibility to provide a community where people can grow in their faith, connect with others, and be in service to the world. Our staff and church leaders are committed to building a community where everyone feels welcome and we can live out our mission to serve others. We believe community is built through worship, fellowship and small group opportunities, studies that help us grow in faith, or over a cup of coffee during fellowship time. We want to be here for you and share with you how God has touched our lives and can touch yours as well. I hope that you take the risk and allow us to welcome you, wherever you are on your journey. If there is some way in which I or another member of our staff can be helpful, please don’t hesitate to contact us. Jesus is anointed, as if for burial, by a woman who loves him. Thus we are given a preview of the events that are to await him in the coming week. Our Gospel lesson is the dramatic story of Jesus’ passion, the arrest, trial, and crucifixion of Jesus. When Jesus’ critics urge him to silence his exuberant followers, Jesus says that if they were silent even the stones would shout forth his praise. Jesus washes the feet of his disciples to show them that they must be willing to serve all. John tells the story of Easter and the miracle that happened, as Jesus’ astonished disciples see the empty tomb. But Mary Magdalene lingers at the tomb and there she is encountered by the Risen Christ.